Meet at Singapore Changi Airport for your flight to Incheon, South Korea. 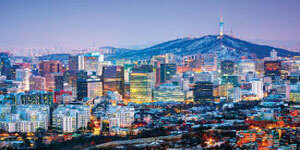 Your holiday to Korea starts here. The start of your holidays to Korea will be to visit and feed seagulls while on board the Seagull Cruise towards Wolmido Island. Along the way, experience beautiful scenic views as well as mountains at the same time enjoy wide range of cafes and restaurants available along the coastal area. From there we will then proceed to the Ice Gallery. Here you will see a display of wide varieties of ice sculptures which are big. During your visit here, there will be a Do It Yourself ice carving session by a sculpture specialist. Once we have completed the Ice Gallery, we will then take a boat ride to Nami Island at Chuncheon. From there, we will then proceed to a hot spring theme park to enjoy a relaxing hot spring bath located at Odaesan Ginseng spa. For those who are interested for the hot spring bath, remember to bring along your swimwear and swimming cap to Odaesan Ginseng spa. On Day 3, we will begin our holiday on a scenic coach ride to Mount Sorak which is well recognised in Korea for its spectacular moutainous region area full of towering granite peaks as well as clear streams and lush green valleys. Beauty of nature is indeed present at Mt Sorak. We will be taking a cable car up to the summit of Mt Sorak depending on weather conditions. Visit the fascinating historical monument of Shinheungsa Temple. The temple was built during the Shilla era. 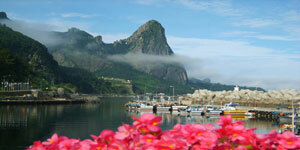 After which, we will then visit the Teddy Bear Farm and then visit Daepohang Fish Market. Once we have completed shopping around the fish market, we will then take a romantic train ride along the coast to Jeongdongjin Train Station. Finally after that, we will ccntinue our journey to Oak Valley for an overnight stay. Once you have completed your breakfast, we will begin the day journey to Yongin Everland, a fun-filled theme park to enjoy thrilling rides and a galore of lively entertainment with your full theme park ticket. We will be visiting the Safari World. There, you will sit on a bus tour or even the special jeep tour around to view the animals. After which, pamper yourself with relaxing and rejuvenating Ginseng Foot Spa while enjoying a glass of refreshing Honey Ginseng juice. You will be spending almost the whole day at the Safary World upon which in the evening, we will be heading down to Korea's busiest shopping stresst of Dongdaemun Market for your ultimate shopping experience. After we have completed our breakfast at the hotel, we will begin our Day 5 journey to the majestic Gyeongbok Palace. This large historical palace was built during the Joseon Dynasty in the year 1394 . From there onwards, we will continue our journey to Cheong Wa Dae Sarangchae, also known as the ‘presidential museum' of South Korea, well known much for its Presidential Hall. After that we will go to Ginseng Monopoly Showroom before proceeding to kimchimaking session and Amethyst Factory. After we completed our lunch, we will be heading to Insadong to experience traditional Korean culture in Seoul. The place is full of art galleries and traditional craft stores. There are also traditional tea houses and restaurants available. From there onwards, we will continue to Myeongdong Shopping Street for your shopping pleasure. 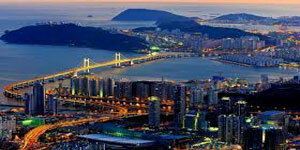 This place is known for Korean fashion centre with many boutique shops. Right after dinner, we can enjoy Korea’s most popular show “NANTA” which achieved outstanding international success. After completing our Chinese Breakfast, we will start the morning journey to Korea Cordyceps specialist shop. This shop is popular for its health products such as Cordyceps and “Hu Gan Bao”. We will not be forgetting to go shopping as well at The Face Shop Outlet and Sinchon Ladies’ Street. We have completed our 6 Days 5 Nights Korea tour package now and it's time for your transfer back to the airport for your flight back home to Singapore from Incheon International Airport in Seoul, South Korea.